The Epic Games of today is a very different company than the Epic Games of two years ago. Former president Mike Capps is gone. Acclaimed design director Cliff Bleszinski is gone. Producer Rob Furgusson is gone. Even the Gears of War franchise has been sold to Microsoft. But in other ways, Epic Games is still the same Unreal Engine-powered independent game studio that Tim Sweeney founded back in 1991, and the studio's going back to its PC gaming roots with Fortnite—its first Unreal Engine 4 game and first free-to-play endeavor. 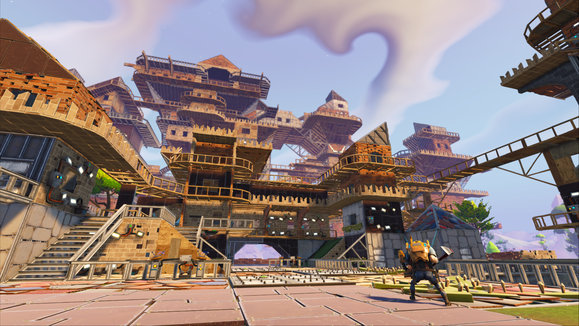 What began as a fun idea during one of the company’s internal Game Jams has blossomed into an action-packed fort-building—yes, fort-building—multiplayer experience that offers four-player cooperative player-versus-environment gameplay and will likely introduce five vs. five player-versus-player, as well. With enough time and effort, your fort can become very big. 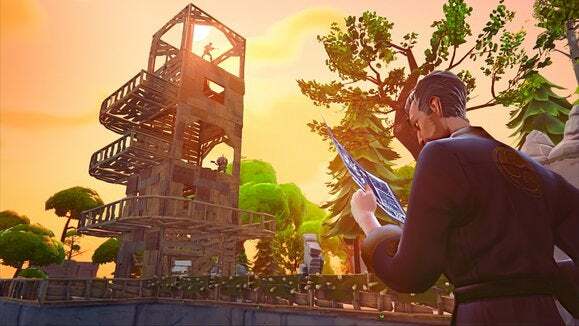 According to Darren Sugg, lead designer on Fortnite, the idea of the game sprang from the national pastime of kids building forts out in the woods and imagining invading monsters coming at them. The game has evolved a lot over the last few years: Gone is the original idea of players being safe to scavenge for supplies during the day to prepare for the nightly monster invasion. Now the enemies can come at any time, through a storm that slowly heads toward your fort. 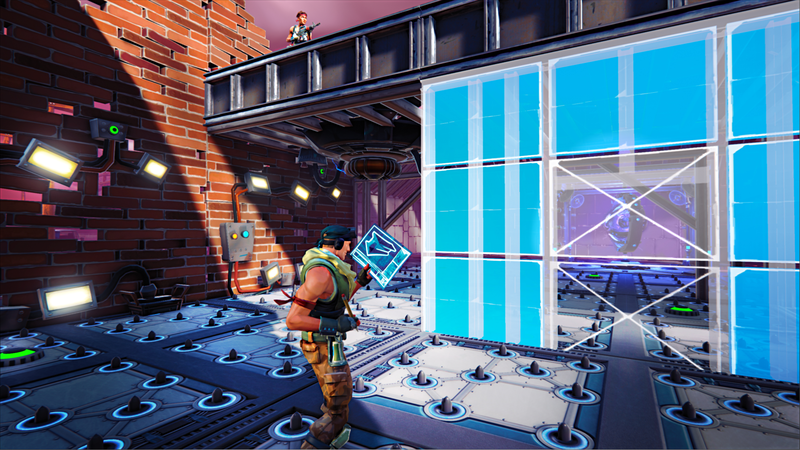 Players can track the storm and know exactly where it’s coming from to help with fortifying the structure. Epic currently has three classes of heroes for players to choose from and customize. As you progress through the game these characters level up with RPG elements that strengthen their abilities as they gather resources, build the fort and then defend it from waves of 12 different monster types. There’s the Constructor, who has the ability to quickly erect structures and repair damage to said structure during enemy attacks. There’s the melee Ninja, who’s swift on his feet and armed with a double jump, along with cool Ninja weaponry and smoke bombs. And there’s the Commando, who’s great at sniping and running and gunning to defend the fort from enemies. All three classes have their own role to fill in Fortnite. All three of these classes can build and fight, which is a necessity once the action gets frenetic when the storm hits and starts spawning creatures of all shapes and sizes. I was able to play all three of the classes. 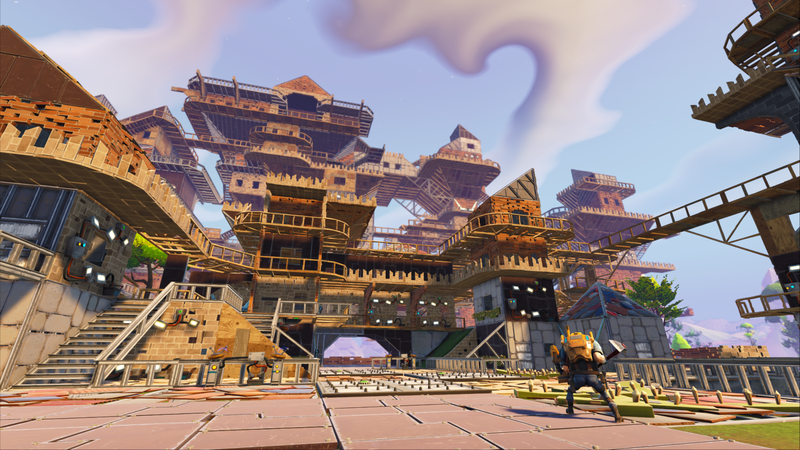 Creative types will love the ease at which the Constructor can build huge fortresses—as long as his teammates gather lots of wood, metal, and stone from the surrounding area, that is. I was more comfortable focusing on the straightforward shooting action of the Commando, although it was fun to slay creatures without them knowing I was even there using the Ninja's smoke bombs. The teamwork structure of the classes gels nicely, as players each have their own objectives during the strategy and action portions of the game—though all four players are needed to keep the base fortified and the enemies at bay once things get hairy with waves of invading monsters. Working with the team and blowing away monsters was intuitive. It’s the same with resources, which allows teammates to scavenge the area and dump off their items for the Constructor to use on the fort. This makes the actual gameplay experience more fun because regardless of how skilled or advanced a player is, the lower-tiered players aren’t dragging things down or making the experience more difficult. No matter who I was thrown into the mix with in PVE, the session was entertaining. Fortnite's PVP action can quickly go pear-shaped when the monsters start rolling in. Epic also allowed press to get a feel for early PVP gameplay, which is still being fine-tuned. Fortnite's competitive multiplayer pits two teams of five against one another. Each must build a fort and protect its generator from the opposing side. 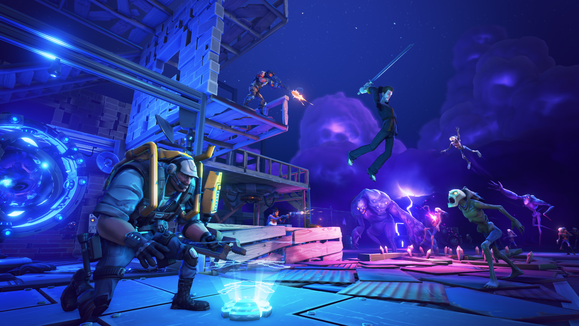 What makes this a uniquely Fortnite experience is that those monster-filled storms roll into the gameplay sessions randomly, suddenly changing the action from team vs. team into teams vs. monsters. The storms completely alter the strategy dynamic, because one team can use the monster attack to its advantage and sneak into the fort once the walls are breached by the creatures. Having some experience with PVE gameplay helps you wrap your head around the PVP experience, which is why Epic allowed media to play the four-player game first in the morning and then introduced the PVP in the afternoon. Going up against human opponents always ups the ante when it comes to the challenge, and having those storms coming in during the heat of combat differentiates this experience from anything else out there in the free-to-play space. Sugg said the mandate from Epic founder and CEO Tim Sweeney has been to offer everything to the player through this free-to-play game. 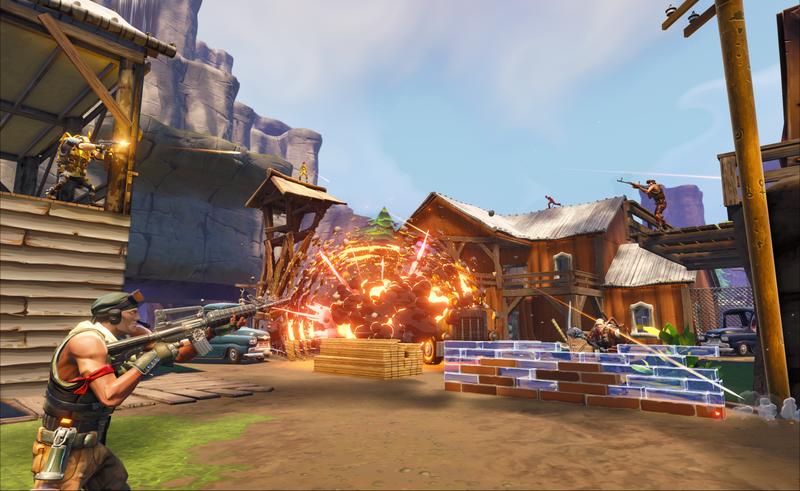 Although the game is still early in development, the pre-Alpha build is already a fun experience, and Epic is still working on implementing other elements beyond the PVP to keep players coming back for more. You can register for potential admission to the Fortnite Alpha test on the game's website, but be prepared to be patient: Alpha invites aren't expected to roll out until sometime this fall at the earliest.